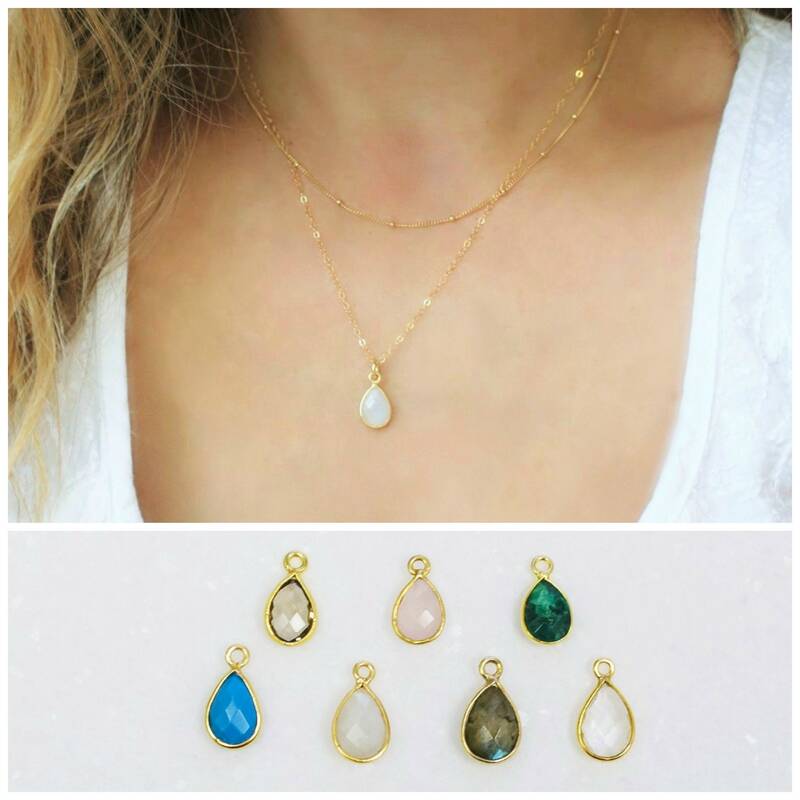 This charm necklace is a great way to add a little color to your everyday. 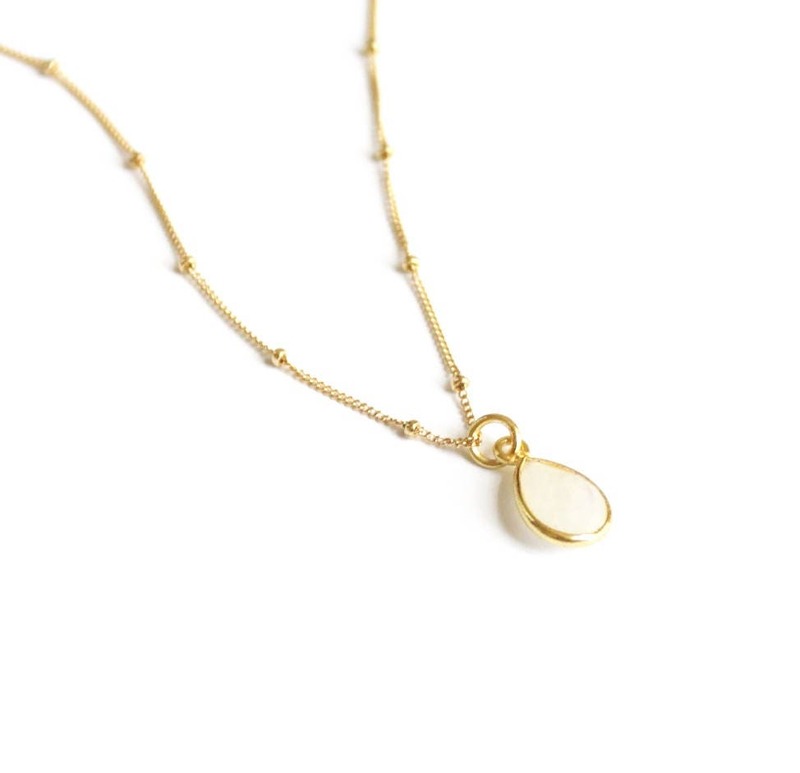 Simple, classic and versatile this drop necklace comes in your choice of chain style and stone. 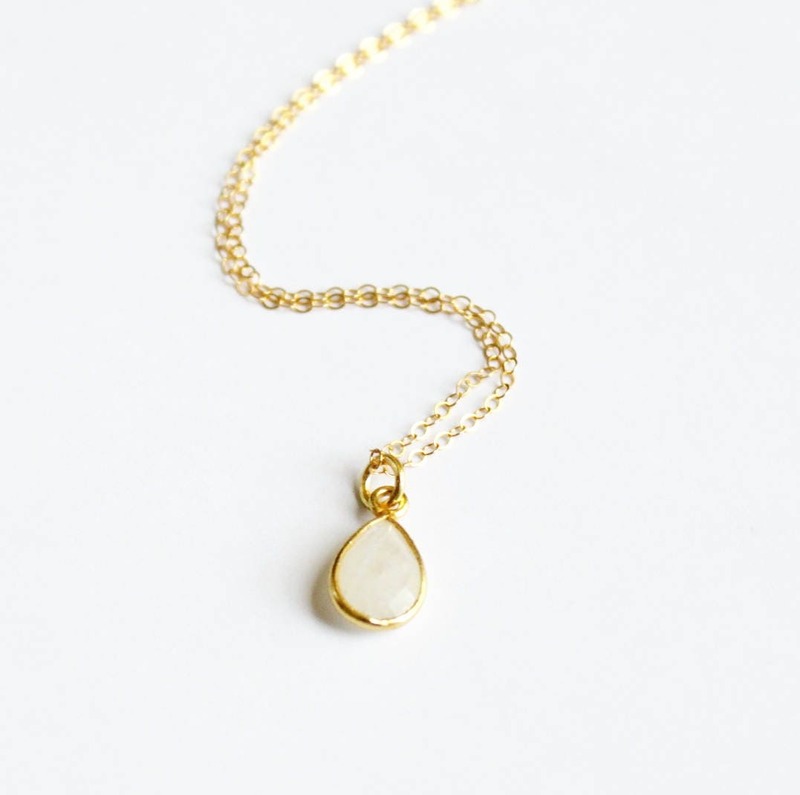 - Created with a dainty gold plated gem drop approx 10mm by 7mm. 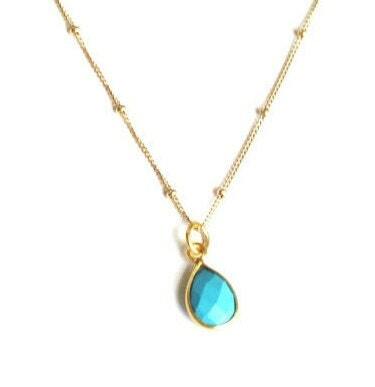 - Your choice of high quality 14kt gold filled link or satellite chain. - Pictured at 18" in photo 1. 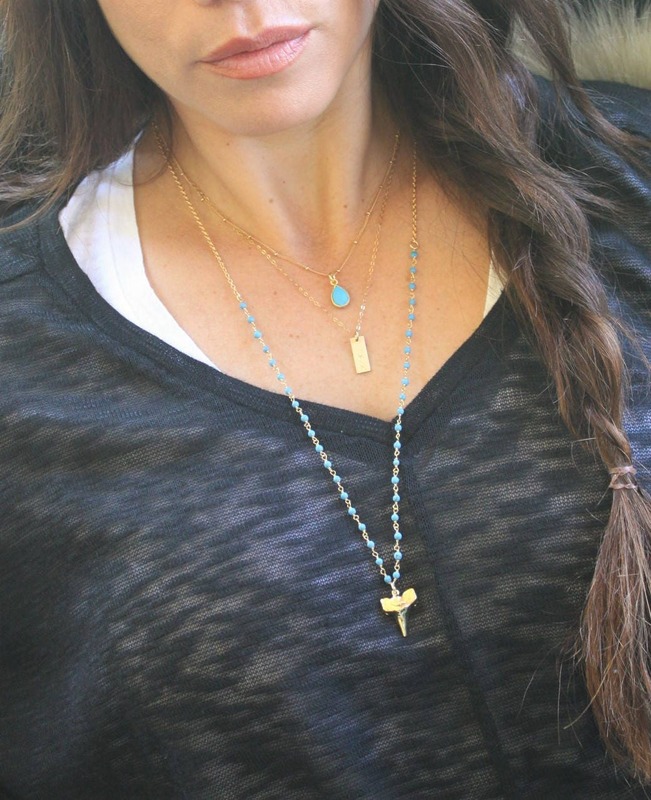 Listing is for the Moonstone necklace only, styled with a satellite chain on the top layer. 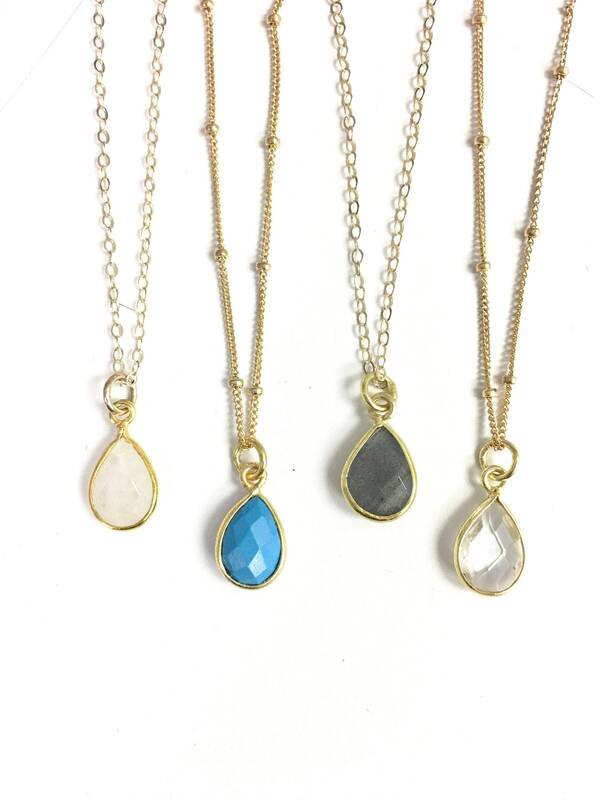 Please visit our shop for other layering designs. 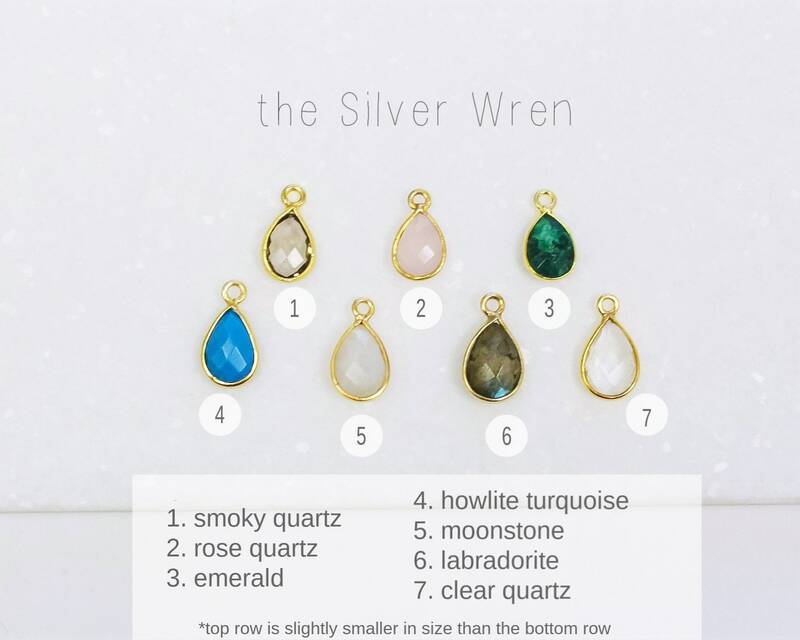 Stone is below average in quality. 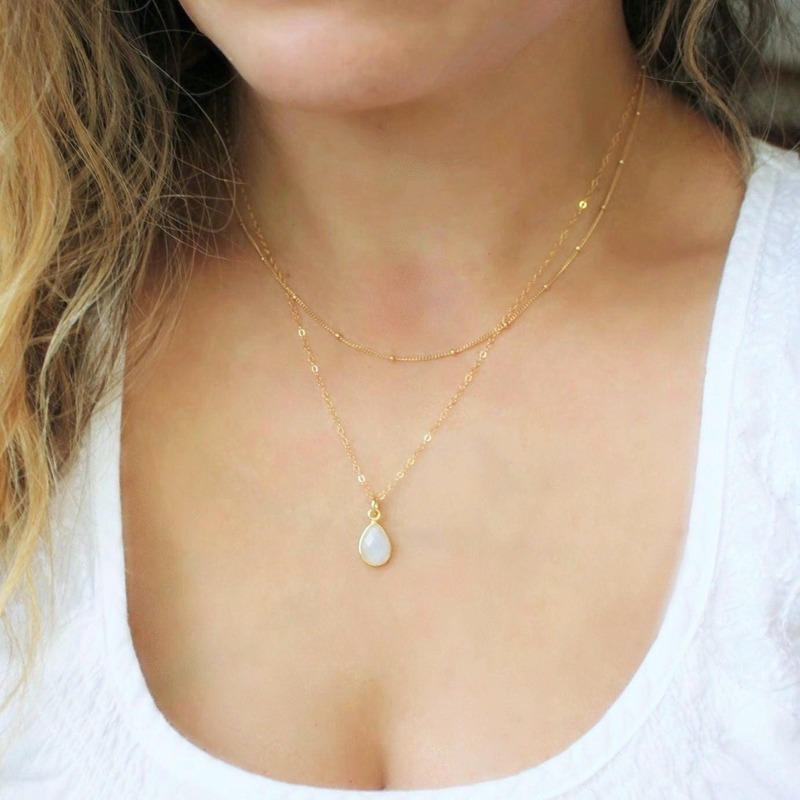 Looks more like quartz and does not display the opal like sheen characteristic of the moonstones. Chain and encasement is good quality. Absolutely beautiful & dainty as described!